The Watch are Simone Rossetti's post-The Night Watch outfit, and while their debut, 2001's Ghost, features 'Tron samples (reviewed below), they finally bought a real one for their follow-up, from Italian pop legend (it says here) Zucchero. 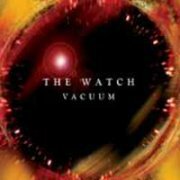 Vacuum is, effectively, a lot like Ghost; The material's good, but seems to lack the spark of the Night Watch stuff, although there's nothing specifically wrong with it. They still sound too much like early Genesis for their own good, and it doesn't look as if if that's going to change in the near future. Anyway, Sergio Taglioni's 'Tron is splattered all over the album, with particularly strong strings work, and the odd bit of choir. Two years later, the band released a stop-gap album, Live Bootleg, which is pretty much what it says, being supplied with the most basic insert, in a plastic slip-case. Then again, I was given a copy when I bought one of their other albums, so who's complaining? The sound quality is excellent, too, given that it was recorded at several different gigs. I'm told the band take their M400 out with them, at least for 'local' dates, so I have to assume that all the Mellotron here is real. The material, maybe surprisingly, covers not only Ghost and Vacuum, but also a Night Watch track (Ivory being a retitled My Ivory Soul), plus one previously-unavailable track , Doctor Mystere. Mellotron all round, from Fabio Mancini, with particularly strong string and choir work on Heroes, although the reedy, high strings on opener Shining Bald Heads sound like they could be samples, as I know very well that the band's 'Tron doesn't get to every gig. All in all, a good live document of the band, especially worth it if you can score a freebie. 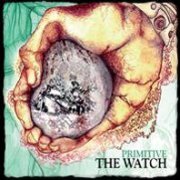 2007's Primitive is... another Watch album. It's difficult to fault their consistency, but in ten years and two bands, Simone Rossetti's gameplan doesn't seem to have altered one jot. It's a good album, and will probably grow on me with repeated listens (when? ), but doesn't actually offer anything new. Saying that, Rossetti's English is good, and Berlin, 1936 tackles an interesting topic sensitively, commenting on Jesse Owens' heroic victory at the Berlin Olympics. Decent 'Tron work across the board, from both Mancini and Rossetti, with not only the expected strings and choir (though not so much of the latter), but also a good helping of flutes, especially on the first two tracks. Ex-keyboardist Sergio Taglioni arranged the synth orchestration on closer Soaring On, although a little 'Tron choir creeps into the mix, too. The band followed Primitive with an official live album, er, Live, featuring a mostly different set of songs to Bootleg, including a brief taster of their 'early Genesis' tribute show in Twilight Alehouse, segued here into their own Another Life. Essentially, this works as a great sampler (not that kind, stoopid) of the band's work, with tracks from all three of their studio albums, plus a cover, all with their original versions' Mellotron work present and correct. Now, I know they sometimes use samples (yes, that kind) live, but I'm taking it in good faith that all selections here use their M400. Early 2010 brought Planet Earth?, which unfortunately reminds me of Duran Duran's first hit. Nonetheless, it's an excellent album; despite their influences (influence? ), the band have succeeded in forging their own sound, utilising a couple of harmonic quirks that make their material sound like no-one but them. Trying to isolate any 'best tracks' is rather superfluous, but the acoustic-led Something Wrong is especially good; suffice to say, this band don't do 'bad tracks'. Mellotron throughout, with strings on all but Something Wrong, which features very Genesis-ish choirs, plus flutes on the piano-driven All The Lights In Town and The World Inside. 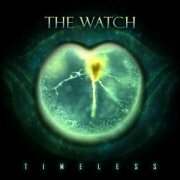 Another year, another Watch album... 2011's Timeless is an album of juxtapositions; both their most and least ambitious and moving both closer to and further away from their ever-present touchstone, Genesis. They tackle two of that band's very early songs, both rearranged (plus a live version of Stagnation, stuck on the end), In The Wilderness (from From Genesis to Revelation) and Let Us Now Make Love, from their 1970 BBC session, anthologised onto Archive 1967-75, Watch-ising both. To my ears, both work perfectly well, but if you don't like them, you've always got the originals... Most of the new songs on the album are gentler than usual, more in, er, a very early Genesis vein, I suppose, which isn't to say this is their unplugged effort. Highlights include Thunder Has Spoken, Soaring On and End Of The Road, while closer inspection of the music reveals a reoccurring motif from In The Wilderness scattered across the album, notably in End Of The Road. Mellotronically speaking, Rossetti and De Vittorio add a brief string part on Thunder Has Spoken, flutes and strings on One Day and Soaring On and strings on Let Us Now Make Love and End Of The Road, making for a lower-than-usual 'Tron count, but a decent album nonetheless. 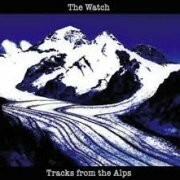 2014's Tracks From the Alps is a typical Watch album in most ways, Rossetti's Gabrielalike vocals laid over the band's partially (and only partially) Genesisalike tunes, at their best on A.T.L.A.S. and closer The Last Mile. Once again, they tackle an early Genesis piece, previously unrecorded in this form, giving us an idea of how the relatively brief Going Out To Get You might've sounded had Genesis added it to Trespass. Five Mellotron tracks, Rossetti adding strings to all but Going Out To Get You and Once In A Lifetime, plus choir and flute parts (as against his real flute, used elsewhere) on Devil's Bridge. 2017's Seven (studio album, obviously) is good, but not great, probably at its best on closer After The Blast, while Disappearing Act seems to head off in a slightly different, yet less successful direction. Mellotron strings on every track, if, in some cases, only occasionally, plus flutes on Tightrope and After The Blast. So; very strong, 'Italian/English prog' albums, with decent 'Tron. 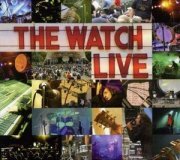 The Watch are in the process of building up a pan-European audience by the rather clever ruse of going out as an (exceptionally good) early Genesis tribute, playing a handful of their own tracks in amongst the Genesis material. If they play it carefully, they may be able to slowly drop the Genesis (if they want to), having drawn their audience into their own stuff, rather in the manner of the better American bar bands in the '70s, a handful of whom made it big using a similar technique. I'll admit this approach irritated me at first, but not only are their covers well worth hearing, but if it gives them a chance in a crowded market, good luck to 'em. 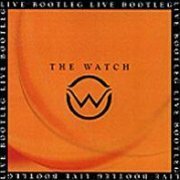 Anyway, The Watch are one of a handful of good, 'traditional' prog bands currently doing the rounds, and deserve to be heard on their own terms. 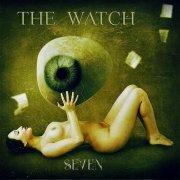 Four years after their sole album, Twilight, The Night Watch's vocalist/chief mover and shaker Simone Rossetti reappeared with his new band, The Watch. While their general remit is the same as Rossetti's previous outfit, there's less overt Genesis-copycat behaviour, with more of an attempt to define the band's own sound within the symphonic progressive spectrum. Unfortunately, the end result on their debut, Ghost, is actually slightly less interesting than the Night Watch's sole release, although it's a solid enough album; it just doesn't really stand out from the pack. There's nothing specifically wrong with the material, it's just... I dunno; less melodic? It just didn't grab me in the same way as Twilight, but then, in fairness, it's an almost entirely different band, with different writing skills. Sergio Taglioni's 'Mellotron' sounds less fake than on Twilight, but I'm assured it's still samples; the strings are a bit iffy, but the choirs in The Ghost And The Teenager and Heroes are full-on and quite authentic. Either way, the use is excellent, and I'm glad to say the band bought a real one for their follow-up, Vacuum. The jury's still out on both of the band's earlier live albums (above), but I'm quite certain we're not hearing any real Mellotron on 2011's first recorded documentation of one of their Genesis tours, Green Show 2011 Official Live Bootleg. For those not in the know, the Genesis 'Green Tour' refers to their Selling England set from 1973/74, which The Watch tackle with their usual aplomb. Saying that, I'm sure I heard a few dodgy chords here and there, particularly on the much-debated Watcher Of The Skies intro, while Rossetti's 'Gabriel' voice is a little suspect, but that's splitting hairs, really. Seems they still have their disconcerting (albeit welcoming) habit of throwing originals into their Genesis tribute set, in this case, a Sound Of Sirens/Another Life segue, but then, I'd love to see them play a whole set of their own material, just for once. Album highlight? Probably The Battle Of Epping Forest, not because it's a Genesis classic (contentious! ), but because officially-released live versions are few and far between. Samplotron? All the relevant places on the Genesis stuff (Watcher/Dancing/Firth) and strings on their own track. 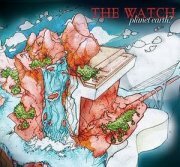 The Night Watch were put together by vocalist Simone Rossetti, a man who does a mean Peter Gabriel, although his voice unfortunately occasionally slips into Fishisms. Likewise, his band do a mean Genesis, but occasionally find themselves in Marillion territory, which is a pity, as they actually know how to change key, write an eight-minute song with more than one melodic idea etc. While probably not quite as good as Finisterre, say, or their offshoots Höstsonaten or La Maschera di Cera, Night Watch are a decent enough addition to the ranks of modern Italian prog. I've now had it confirmed that Giovanni Alessi's 'Mellotron' is sampled, which doesn't surprise me in the slightest; not only does it sound too 'smooth', but string parts on My Ivory Soul and A Game With Shifting Mirrors hold way past the eight-second limit, without the characteristic 'swell' you get from studio trickery (been there, done that). The strings (mostly) sound pretty good, while the choirs largely leave a lot to be desired, although every now and again you get a sudden burst of 'authenticity'. Decent (sample) use on every track, with excellent Banksian string swells in several places, not to mention a short solo section in The Fisherman. Occasional flutes (Tomorrow Happened, Flower of Innocence), but the strings are chiefly where this album's at 'Mellotronically'. The band disintegrated sometime after the release of Twilight, leading to Rossetti starting up The Watch with different musicians. Do you buy this? Do you like classic Italian progressive? Then you stand a good chance of liking the Night Watch, although they're not up to the standards of the best '70s bands, but then, who is?